The WRU and the four Welsh regions are continuing talks over a new deal between the sides. Regional Rugby Wales (RRW) had been due to make its case to the full WRU board on Wednesday, but that presentation was called off and RRW met the governing body's executive. The two sides are discussing a deal to replace their Participation Agreement which expires on 30 June. They have been in dispute over funding and player release. Regional Rugby Wales represents Cardiff Blues, Newport Gwent Dragons, Scarlets and Ospreys. Hopes that a European peace deal announced in April would prompt a similar outcome in Wales have so far proven to be in vain. 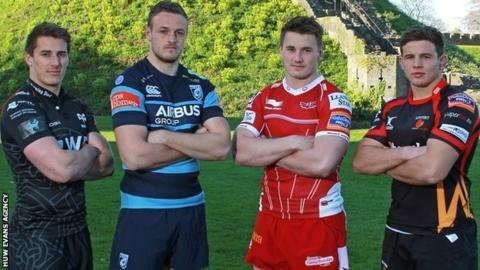 Earlier in April acting RRW boss Mark Davies, who is also Scarlets chief executive, had said the regions and the WRU were "far apart" over a deal. The WRU feel the discussions are progressing positively while the BBC has asked RRW for a response after Wednesday's talks. The last deal was signed in 2009 and amid the rows that threatened to end European competitions, the WRU and RRW's relationship also faltered.